Home/News & Events/More than 70 families join in the fun at the much awaited Kinderland Vietnam Open House! After months of renovations and preparations, we are excited to have our first Open House on 23 and 24 February! Kinderland’s first preschool in Vietnam is situated conveniently at Vista Verde, CapitaLand’s new development at District 2. Both adults and children having a ball of a time at our Open House! 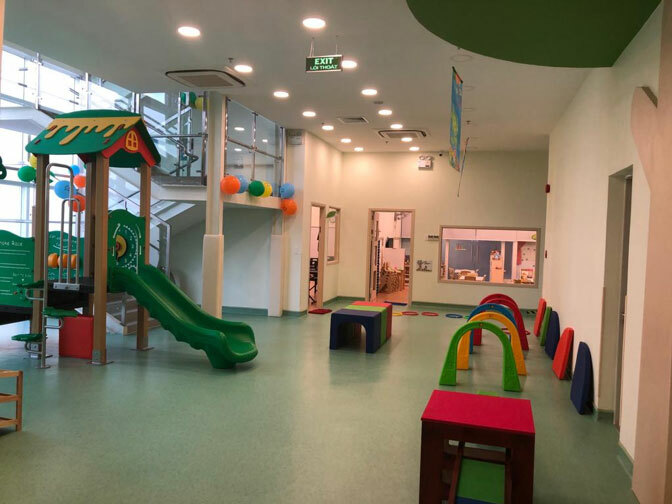 With an impressive space spanning nearly 1800sqm, our facilities aim to complement various children’s activities and engagement, nurturing children from toddlers to six-year-olds. These facilities include well-curated classrooms, conducive play and learning areas such as dance, art, music, computer and cookery studios. Our indoor playground secured within the preschool premises, perfect for all weathers. 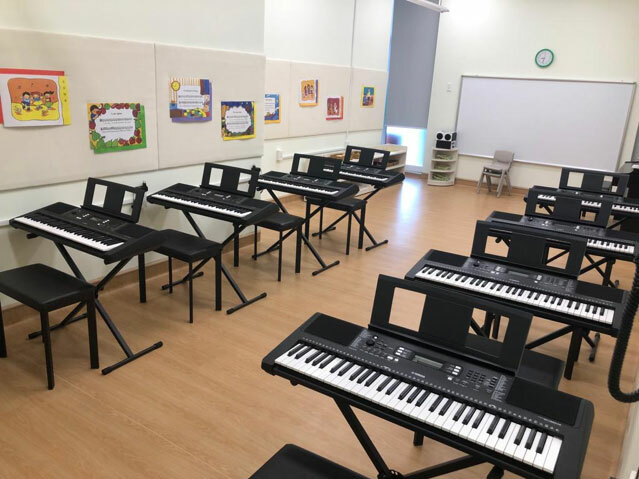 Come experience Kinderland’s unique music-infused curriculum for yourself! 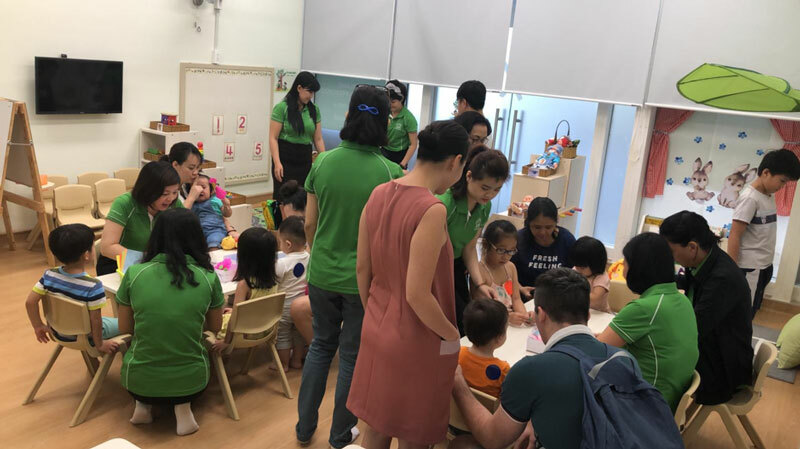 More than 70 families visited our centre to find out more about our time-tested curriculum which led the early childhood industry for more than 40 years. 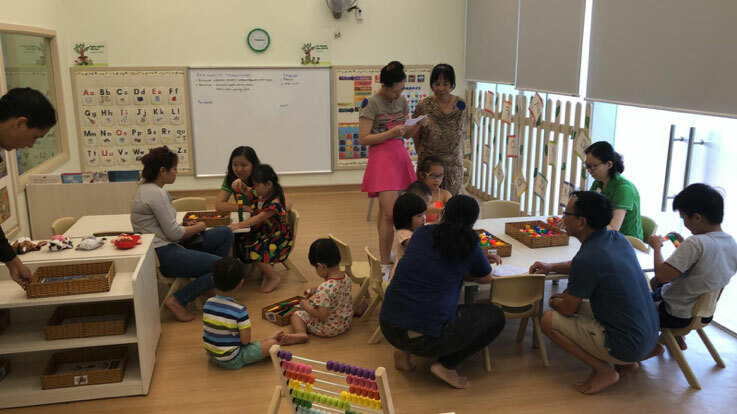 They also enjoy the authentic Kinderland experience through our child-friendly programmes at the Open House. The children having a go at our learning corners. Thank you for all your support at our very first Open House. We are certain that you and your little ones had enjoyed our sharing and had fun experiencing what it’s like to be a Kinderland child!